Ladies and gentlemen, boys and girls, we are back with the most exciting edition of Reliance Trends presents Battle of Bands at Consensio 2019. This year it’s going to be bigger & better with more rock and more roll, more head banging and obviously with more you!! 1. Songs of any Genre (Rock /Jazz /Blues /Rock-n-Roll /Country /Pop/ Reggae/ Alternative /Contemporary /Fusion /Any other) are welcome in the competition. 2. Songs of any language are allowed in the competition. 3. Bands are required to bring their own instruments/gears/add-ons. Only drum kit will be provided. 4. 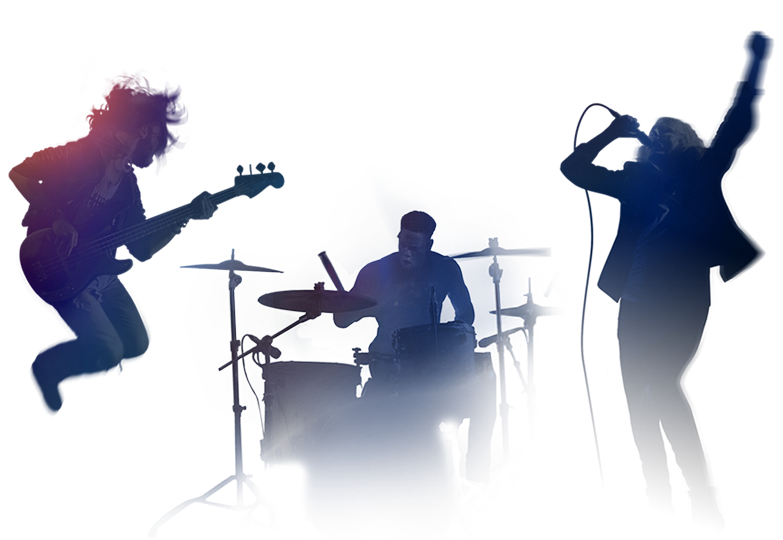 Minimum 3 band members are required to be eligible for participation. All bands must encompass at least the drums, bass guitar and electric guitar.Other instruments are also allowed. 5. Permission for usage of any kind of programmed/pre-recorded music must be requested from the organisers before registration. 6. All bands must register online/offline prior to commencement of the competition. However, there will only be limited number of bands competing. The selection will be on first-come first-serve basis. Also, registration is subjected to being closed at the fulfillment of vacancies. 7. Alcohol/drugs/smoking and all such objectionable things are strictly prohibited in the entire campus. 8. Explicit or offensive lyrics/gestures/misconduct will guarantee immediate disqualification from the competition and will lead to immediate expulsion from the stage. 9. Depending upon circumstances, some rules or decisions may be imposed by the judges during the competition and all participating bands shall have to follow the same. 10. Decisions of the judges will be final and binding under all circumstances. 1. A band will be given total 10 minutes time on stage (including sound check). 2. The band can perform any 1 song of their choice. 3. Exceeding the given time will lead to penalty. 1. A band will be given total 25 minutes time on stage (including sound check). 2. The band must perform 3 songs comprising at least 1 Original Composition (OC) and at least 1 cover.